This is the largest and most famous cemetery in the country. In use since 1858, the cemetery is popular with tourists thanks to the incredible number of historic figures and dignitaries and personalities buried here, most of them Romanian of course. These include artists, scientists, architects, mathematicians, actors, professors, journalists, historians, religious and political leaders, playwrights, and lawyers. You can always mark the notable graves by the beautiful monuments raised to the dead. The architecture of these monuments cover a diverse range of architectural styles - Romanian, French, Art Deco. In the middle of the cemetery there's a chapel that you might like to visit. Inside to the gate you will find a map that points you to various specific graves. 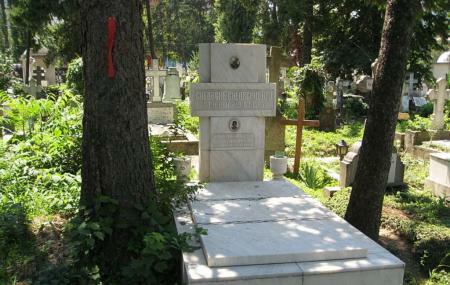 How popular is Bellu Cemetery? People normally club together Coltea Hospital and Carturesti Verona while planning their visit to Bellu Cemetery. Very old thombs and beautiful funeral places. It was a sad moment for me there, that's why only 4 stars. Very beautiful place otherwise.